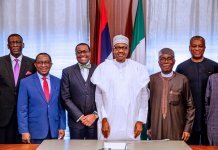 Inaugurating the Technical Advisory Committee on National Minimum Wage wednesday, President Muha-mmadu Buhari put smiles on the faces of workers, stating that wage increase had become inevitable and non-negotiable. “I want to make it clear that there is no question about whether the National Minimum Wage will be reviewed upwards. I am committed to a review of the Minimum Wage,” Buhari told the advisors at the State House, Abuja. But he might, however, have raised the red flag when he hinted at a review of the pay of federal government workers whose packages are already above the N30,000 new minimum pay being insisted upon by organised labour. Labour’s response to the hint was swift wednesday: it would be resisted. The president spoke in measured tones as he said although the reality was that workers’ pay would have to move up, those who had crossed the new bar would have understand the federal government’s call for a review of the excess in view of its dwindling purse. 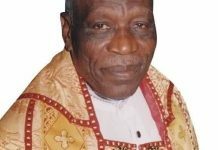 According to him, even though the minimum wage is on exclusive legislative list, state governors are being carried along because of the current prevalent economic challenges. However, the president said the new minimum wage would not be automatic for every federal government worker, pointing out that instead, salaries of civil servants already earning above the national minimum wage would be reviewed. Those expected to be affected by this review are the staff of Central Bank of Nigeria (CBN), Federal Inland Revenue Service (FIRS), Nigerian National Petroleum Corporation (NNPC), among others, who earn humongous salaries. 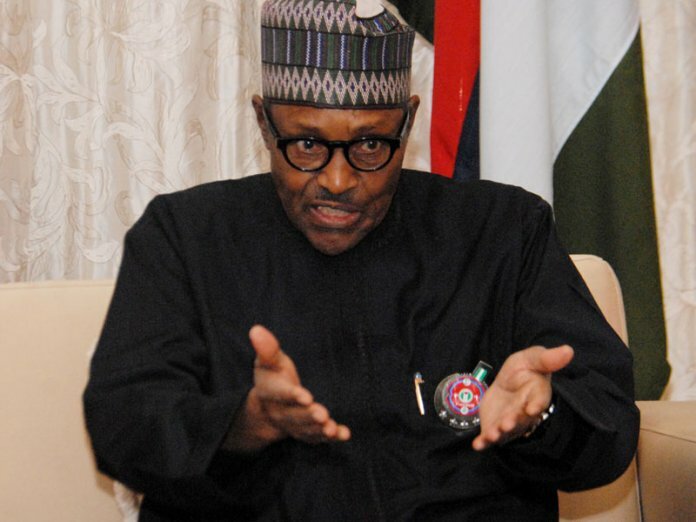 Buhari told the committee members, “It is important to explain that even though the subject of a National Minimum Wage is in the Exclusive Legislative List, we have been meeting with the state governors because it is imperative that the federal government carries the state governments along in determining any upward review of the minimum wage for workers. “As you know we, at the federal level, have made adequate provision for the increase in the minimum wage in our 2019 budget proposals which we submitted to the National Assembly. The president added that the national minimum wage must be done in a way that it will have no adverse effects on the targets set by the Economic Recovery and Growth Plan (ERGP). According to him, it was against that background that the constitution of a technical committee to advise the government about the funding of additional wage bill ahead of implementation had become imperative. The president said given the urgency of the national minimum wage matter, the committee has one month to conclude its assignment and submit its recommendations. The committee is chaired by notable economist, Mr. Bismarck Rewane. 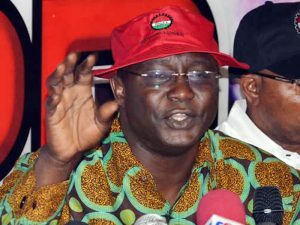 Meanwhile, the Nigerian Labour Congress (NLC) has said it would oppose any move to tamper with legitimately earned salaries of workers in guise of implementing the new minimum wage. President of NLC, Mr. Ayuba Wabba, who reacted to the speech by Buhari at the inauguration of a technical committee on minimum wage yesterday in which he said that federal government might review workers’ salaries that are in excess of new minimum wage. 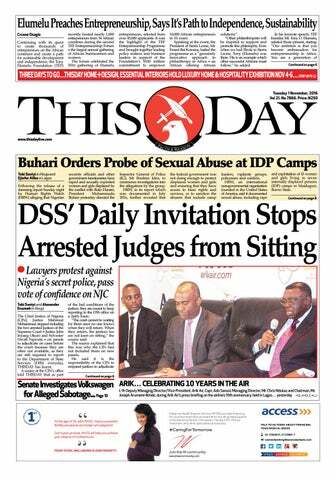 Speaking to THISDAY on telephone wednesday, Wabba rejected the position, saying that there is no basis for such a move. He said there is nowhere in the world that an introduction of new minimum wage will cause a reduction in earned wages by workers. Wabba said, “That is not the principle behind the minimum wage and the technical committee is simply a government committee. It is their internal mechanism. I am not so sure that minimum wage is about reducing workers wages. If they have earned their salaries legitimately, there is no way the minimum wage can reduce it. In fact the minimum wage is about empowering workers and improving on what they collect. I don’t think that decision is right because every salary a worker earns is legitimately negotiated on the table. 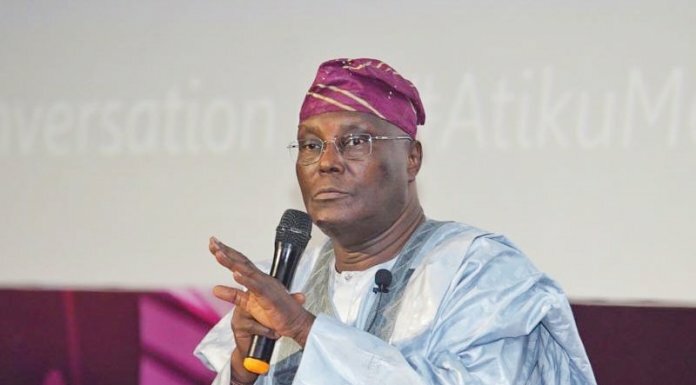 “I think what they need to do is to reduce salaries of political office holders, those that are collecting salaries that are not appropriated or salaries that are humongous. We know the wastages are the security votes and the high cost of governance,” he said. Speaking also on the feasibility of government assurances to labour that it would transmit the bill for the N30, 000 new minimum wage to the National Assembly, Wabba said there is every reason to believe that such will happen. He said the information at the disposal of Labour is that the National Assembly will be resuming from recess on January 16 and that they will be ready to receive the minimum wage bill on that day. According to Wabba, the labour movement has been assured that the lawmakers will make the opportunity available for the government to submit the bill within the stipulated period. He said, “What we have found out is that they will be in office on that day and that is what we are banking on. They are resuming on the January 16th and they cannot resume on that day and again proceed for recess, it is not possible. 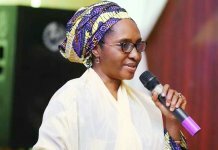 And given the urgency of the federal government’s understanding with labour to transmit the minimum wage bill to the National Assembly by January 23, the Senate advised the president wednesday to avoid any further delay and send the bill on Tuesday as the federal legislature might adjourn for electioneering next Thursday. 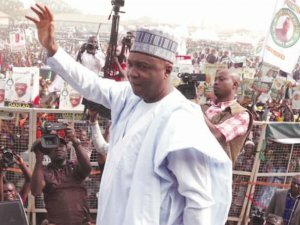 Senate President Bukola Saraki, who spoke through his media aide, Alhaji Yusuph Olaniyonu, said it was imperative for the president to transmit the bill by Tuesday so that both chambers of the National Assembly could give it accelerated passage before embarking on recess on Thursday. The Minister of Labour and Employment, Senator Chris Ngige, had signed a MoU with labour last Monday committing the executive to the submission of the bill to the legislature by January 23. The National Assembly would resume from its Xmas and New Year break on Tuesday and would sit for three legislative days, ending on Thursday with the 2019 Budget as its priority before proceeding on recess to enable its members go to their constituencies for campaign for the forthcoming general elections starting on February 16. 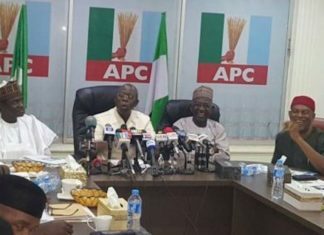 “The Senate President has advised the executive to submit the minimum wage bill by Tuesday so that the National Assembly can give it accelerated passage,” Olaniyonu said in reply to a THISDAY enquiry on feasibility of the federal government’s pledge to present the bill by January 23 for passage into law. “For it to be passed into law before the elections, it has to come in by Tuesday,” he quoted his boss to have said, adding that the federal legislature had given its word to labour that it would expedite action on the bill once it is before it.